Each year, the National Insurance Crime Bureau publishes a list of the most popular vehicles that are stolen. 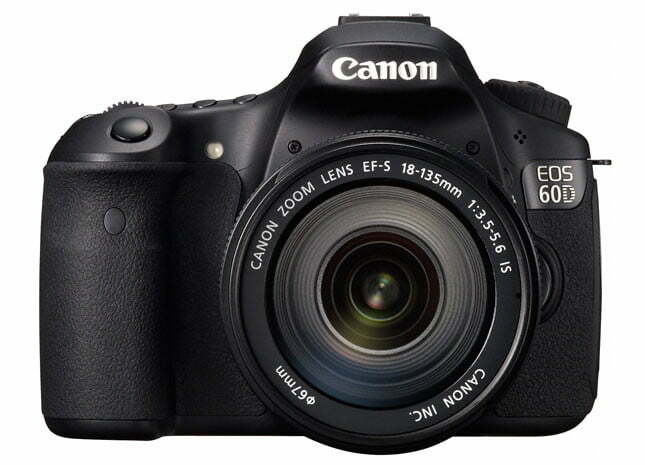 But now there’s also a list for the most-stolen digital cameras, thanks to the folks at Lenstag. The anti-theft service just put out some interesting (or scary, depending on your view of such things) stats based on the company’s findings – presented in eye-pleasing infographics. 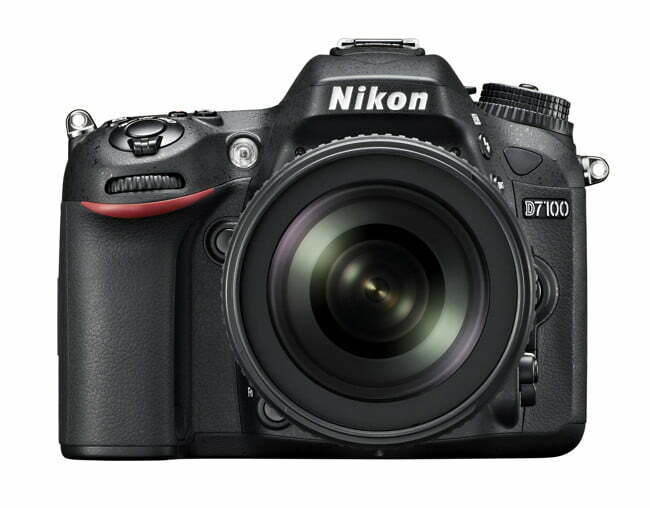 The Nikon D7000 is the most popular camera amongst thieves, followed by the Canon 60D and Canon 7D. As for lenses, the top three are all Canon glass. Naturally, Leicas are also popular with thieves. 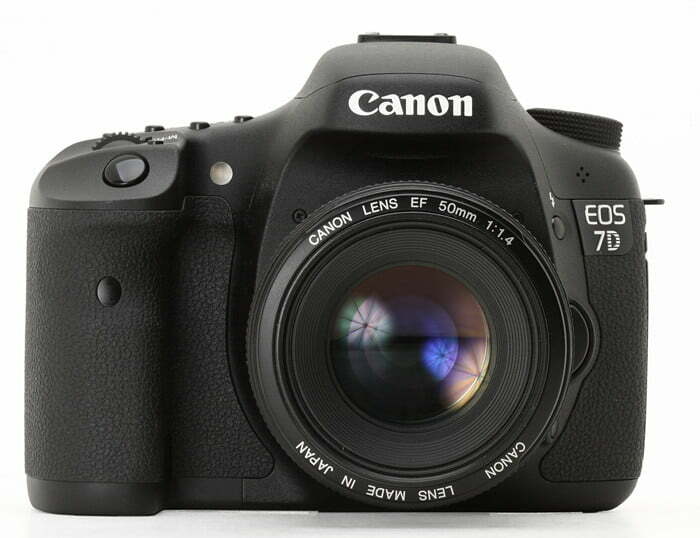 Car break-ins and home robberies make up the largest percentages of ways cameras are stolen (29 and 25 percent, respectively). 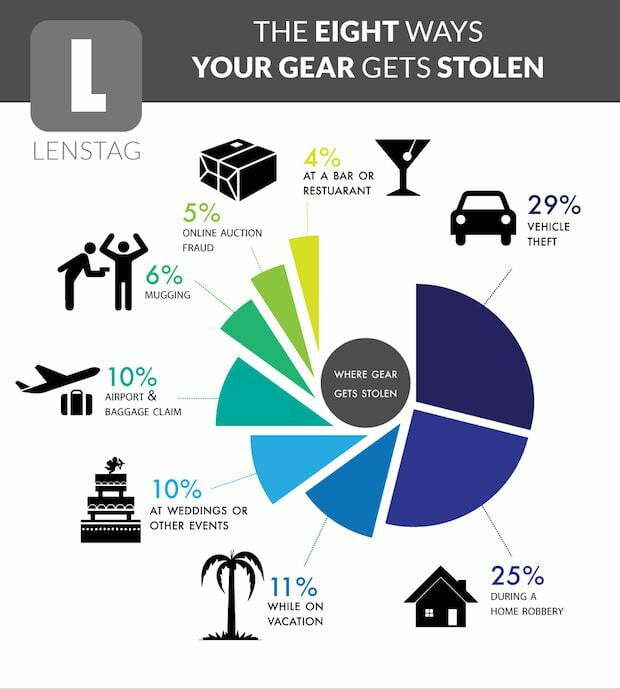 Weddings and other events, and baggage claim at airports each make up 10 percent of places where cameras are stolen. Online mail fraud make up 5 percent. Lenstag is a free and useful online service where photographers or anyone with a lot of expensive camera equipment can register the items, making it easy to report any that are stolen and, possibly, even help retrieve them back from thieves; Lenstag publishes a list of stolen gear with serial numbers on its site. Its creator, Trevor Sehrer, recently released new apps for iOS and Android, making it easier to register one’s gear. 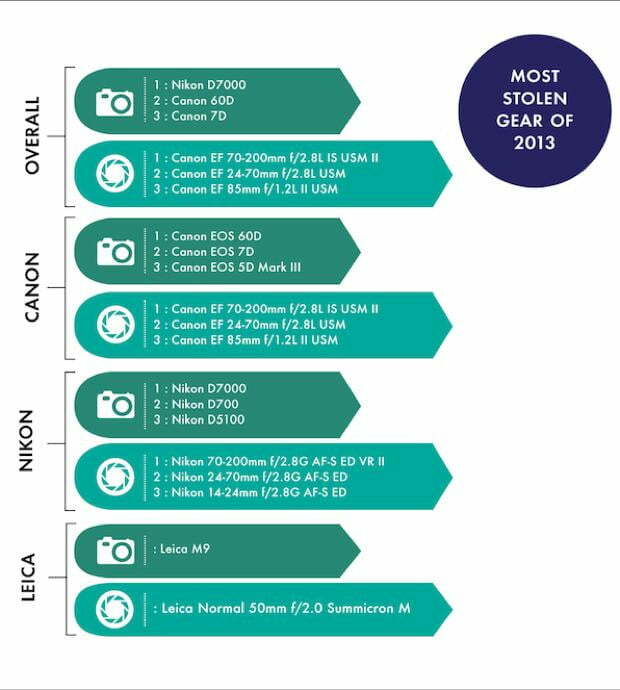 Although it isn’t in-depth and doesn’t tell you about other brands (although Canon and Nikon are the top brands amongst pros), the infographic was probably designed to make photographers more aware of how serious camera theft is, and to get them to use the service. Regardless, it’s a free tool and it doesn’t take much effort to register your stuff. Extra precaution never hurt anybody. Check out PetaPixel’s look at the new app.